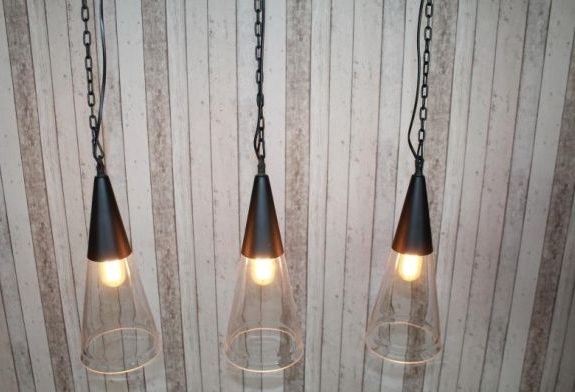 These strings of retro industrial style lights are a great addition to our range of vintage style lighting. 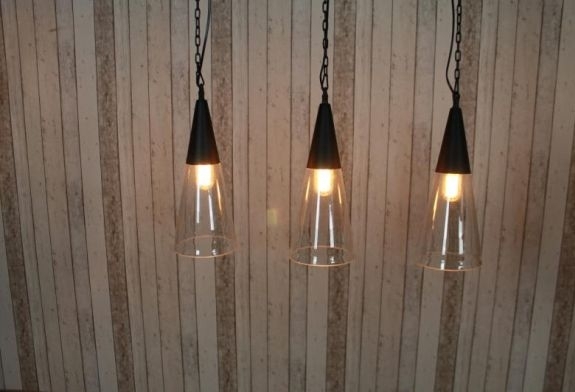 A chain and strip bar to the ceiling secures these strings of vintage style lights; these glass cone shade lights have adjustable steel chain supports. 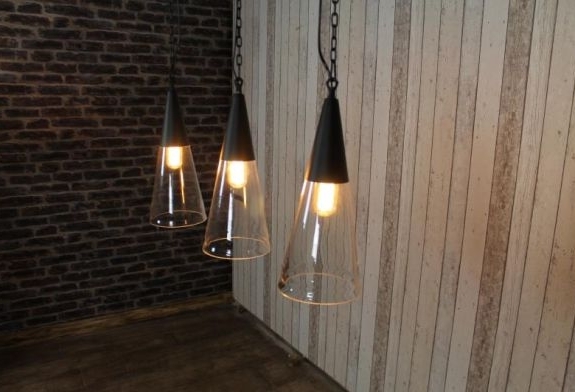 These beautiful retro style light fittings would look great in a kitchen, bar, restaurant or dining room. 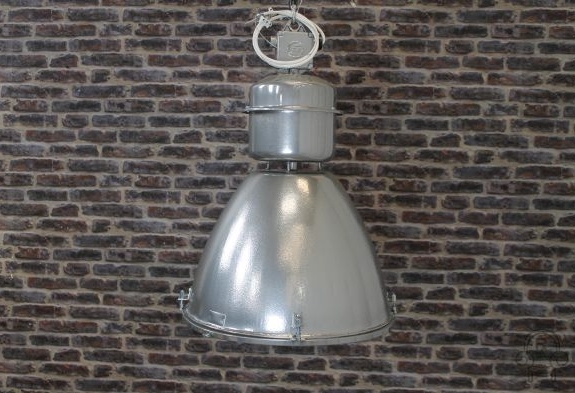 The price stated is for one string of 3 or 6 light fittings only, this price does not included light bulbs. 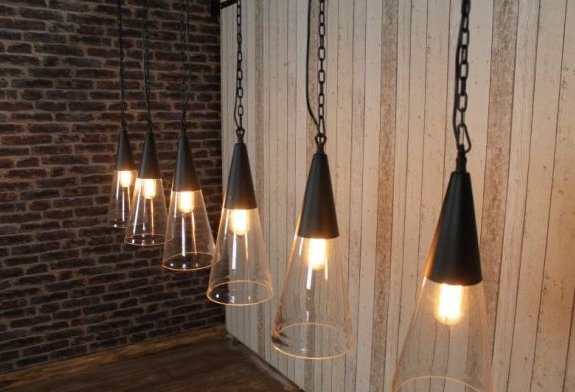 The chain length for these lights is 69″. 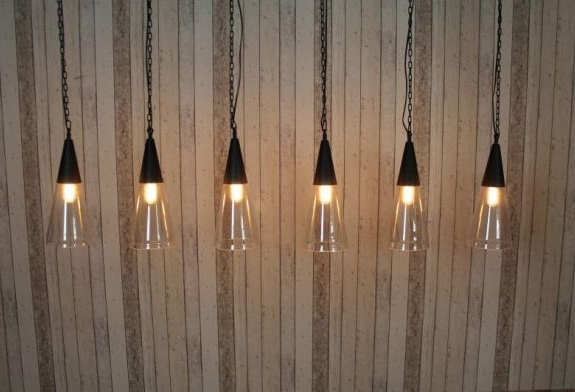 We recommend the lights be fitted by a fully qualified electrician. 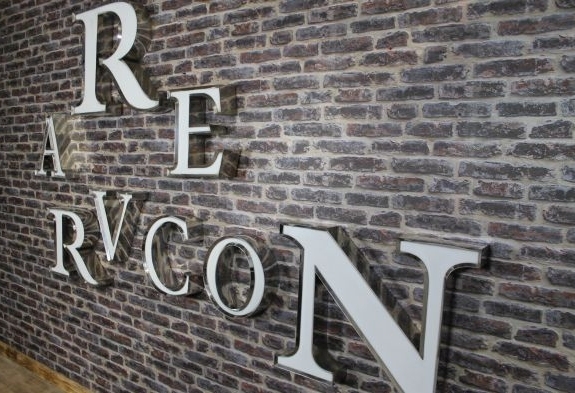 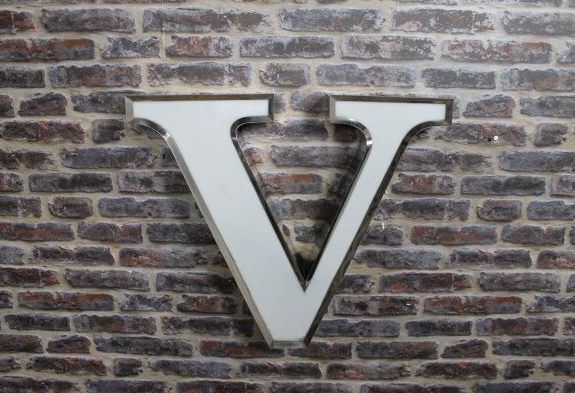 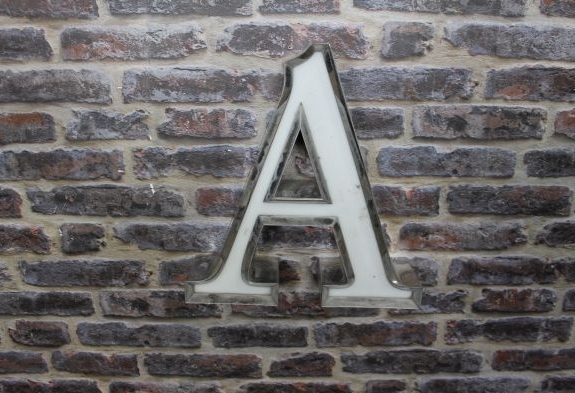 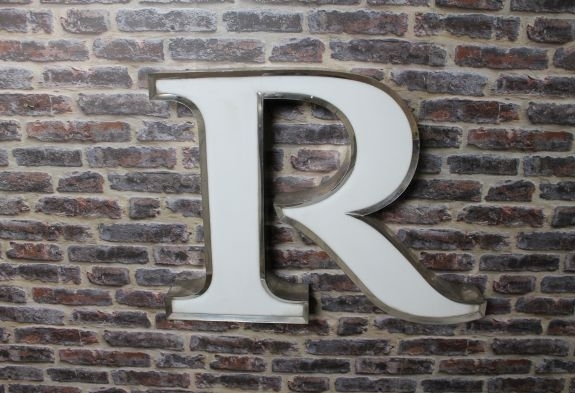 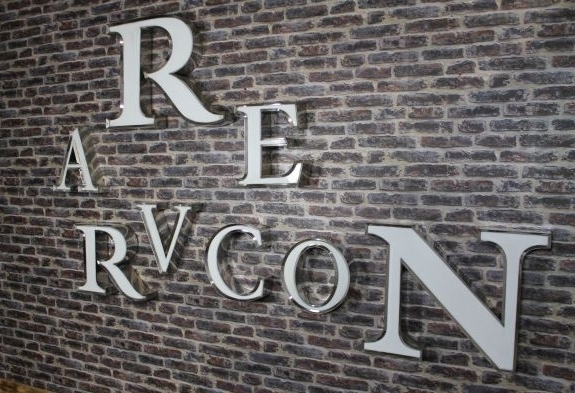 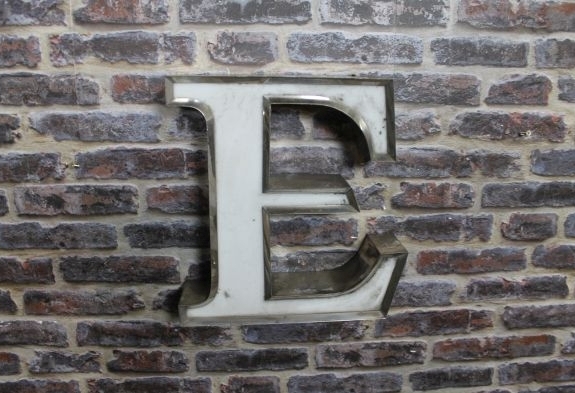 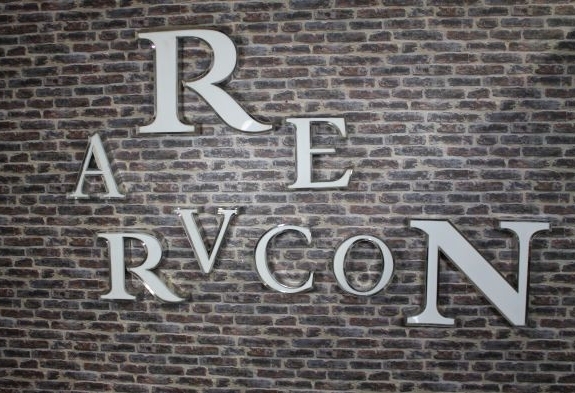 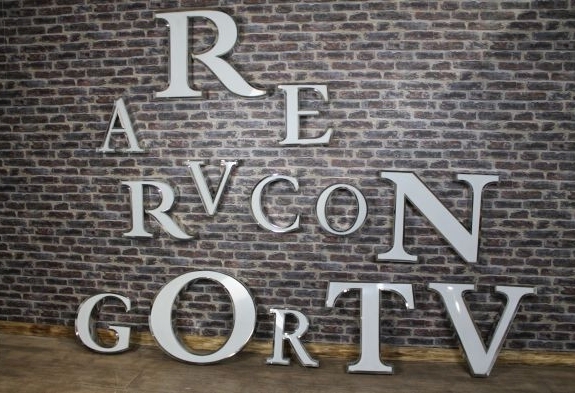 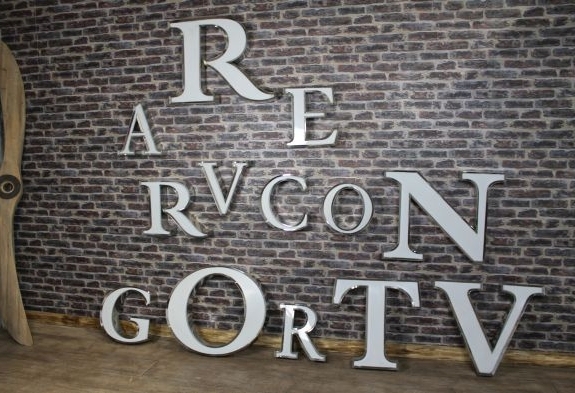 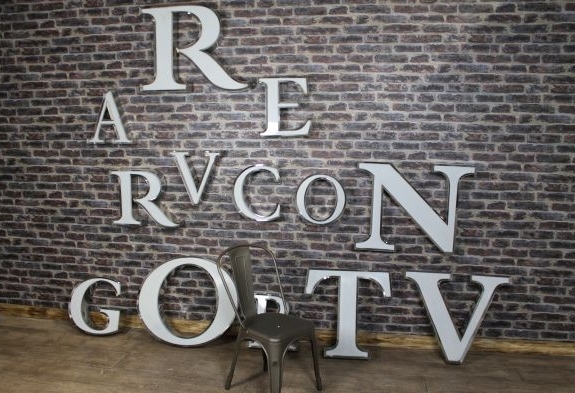 This is an excellent chance to buy these retro letters, perfect for wall displays. 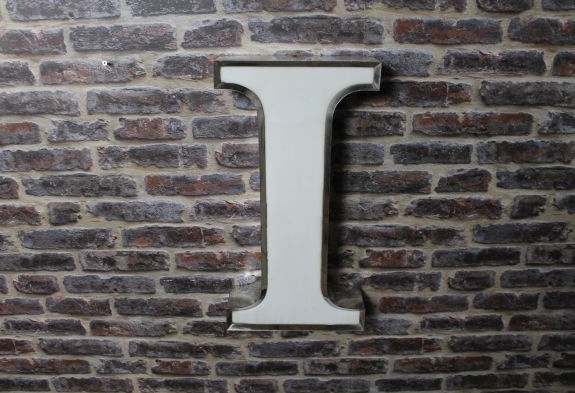 The capital letters have many uses and could be lit up from behind if needed. 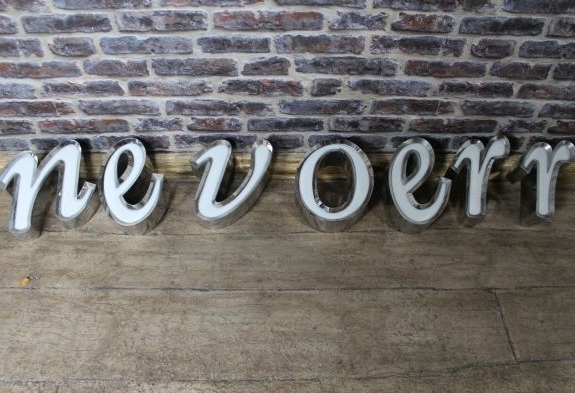 These large vintage letters are available in three sizes, all priced separately. 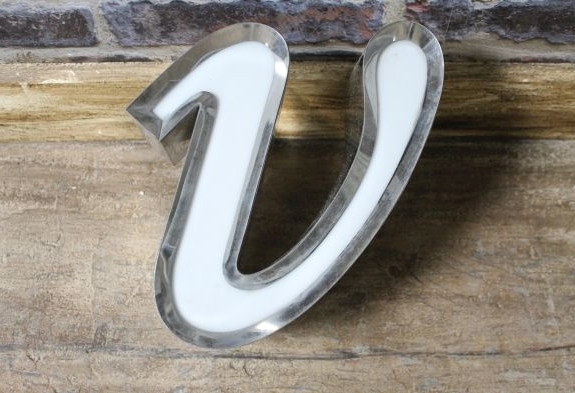 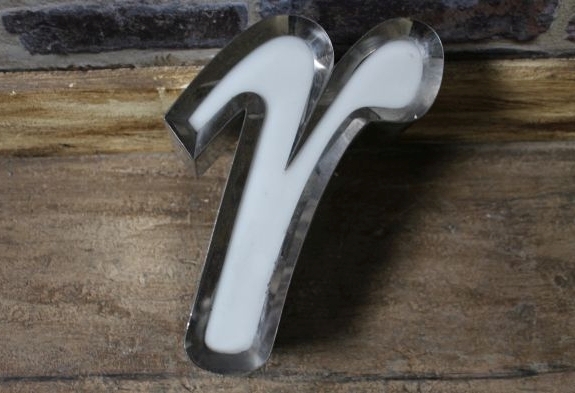 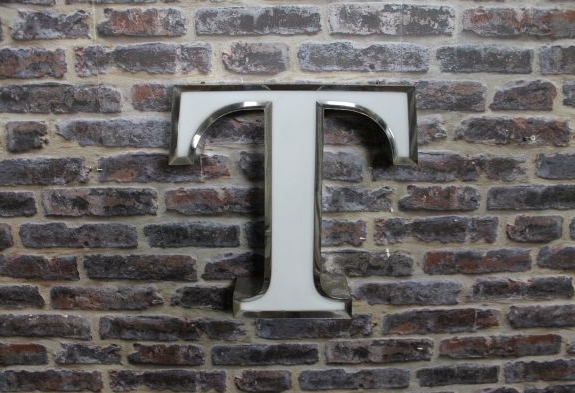 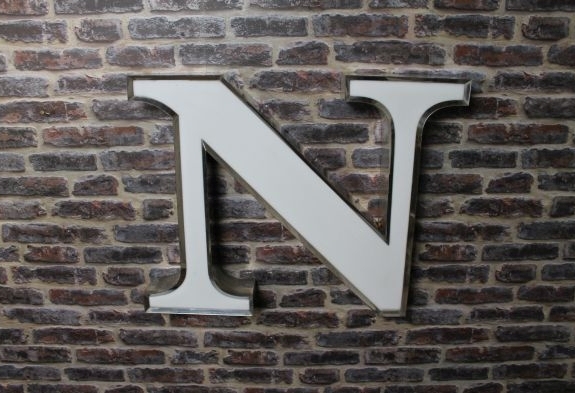 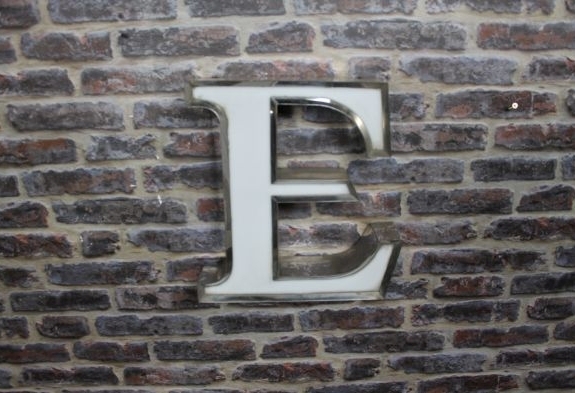 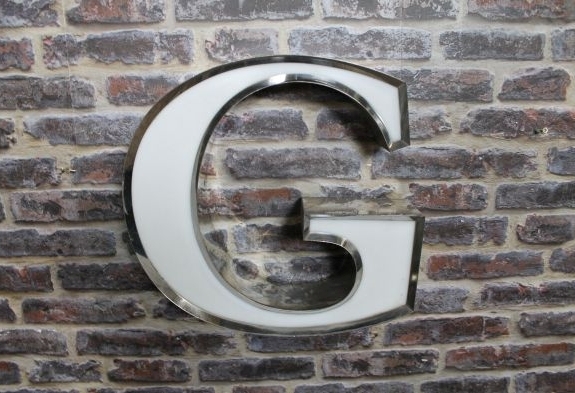 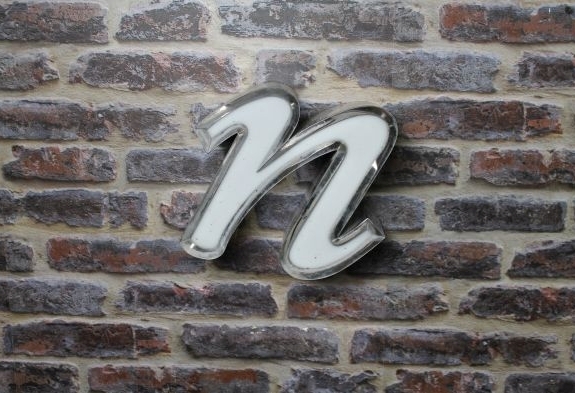 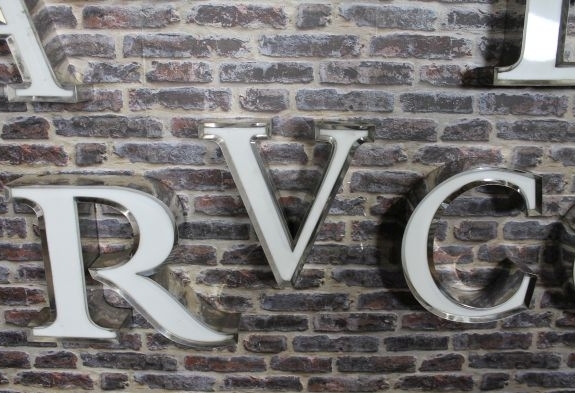 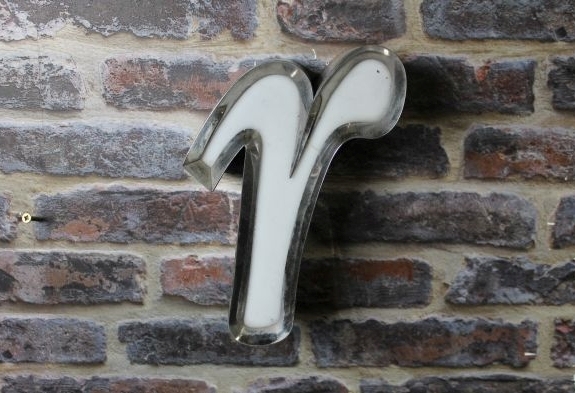 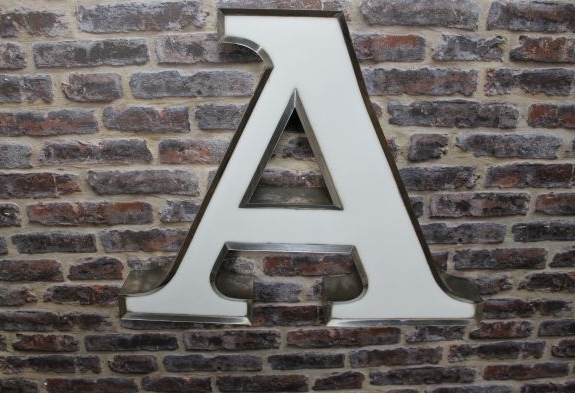 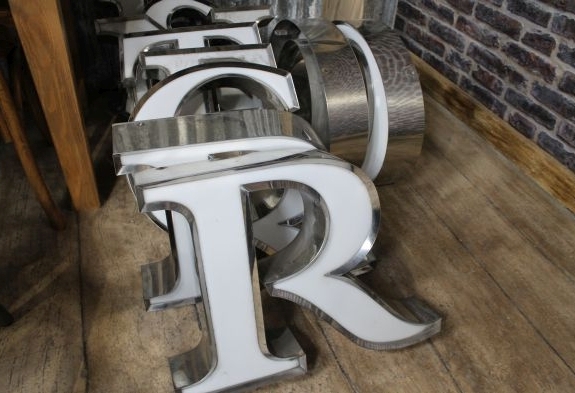 The letters, made from stainless steel, would look great as a decorative wall display, spelling out a name or initials in a home, bar or restaurant. 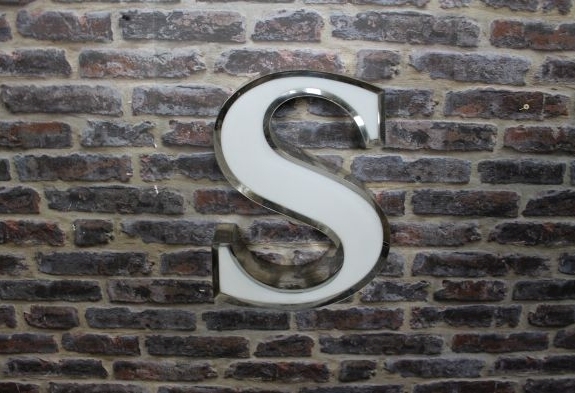 We also have lower case lettering in stock, see our other listings for more information on these products. 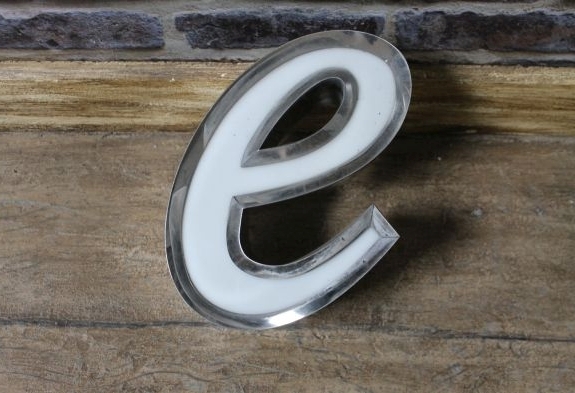 Please note that this listing is for one of these retro letters only. 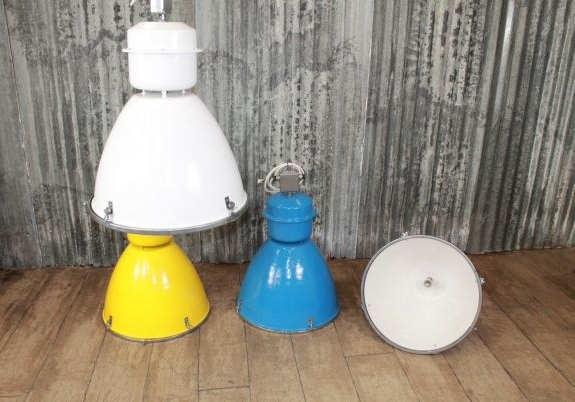 Please note: this listing is for one yellow industrial light only. 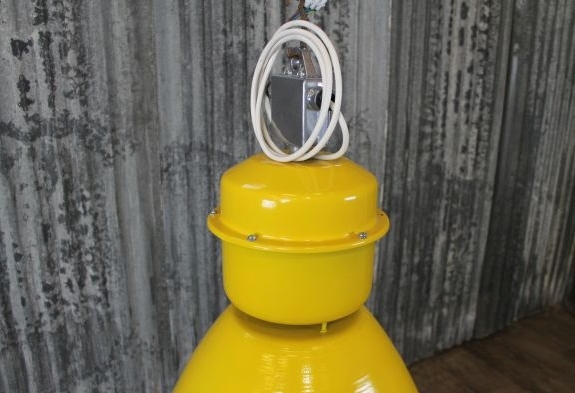 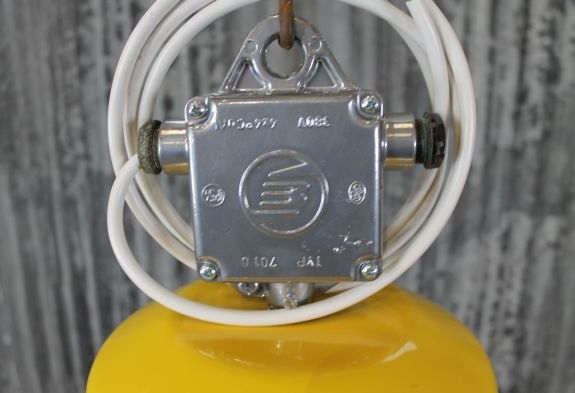 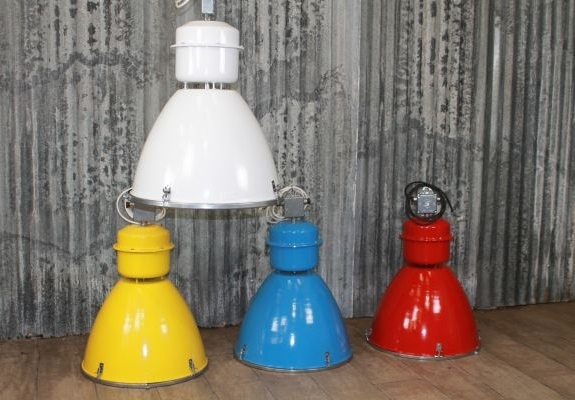 This yellow industrial light is a lovely addition to our selection of industrial and vintage lighting; these large, completely reconditioned lights come in a variety of colours: yellow, red, blue, white, black, silver, turquoise / mint, black and orange. 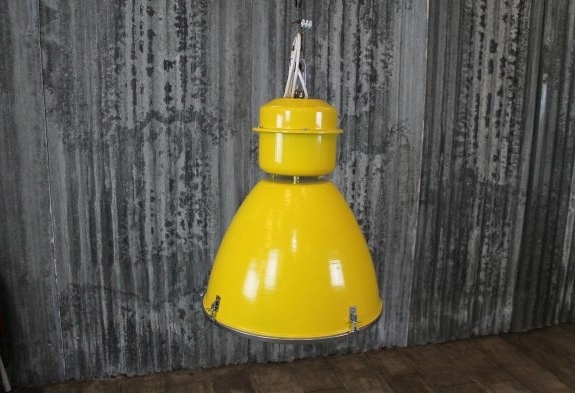 This yellow industrial light would look great in a large home or as a feature in a commercial property. 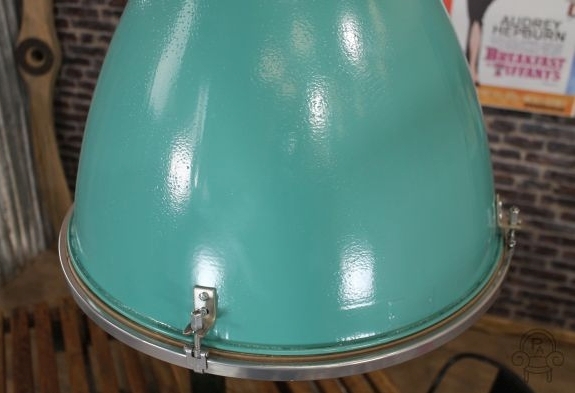 The lights are all in a great condition, having been totally repainted as well as rewired. 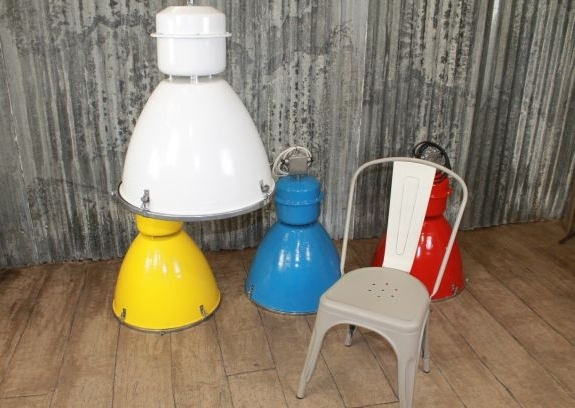 The chair and other items pictured are not included in this listing. 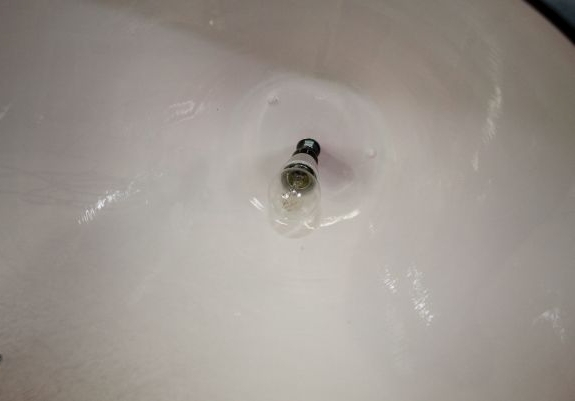 We are able to post this light, but we won’t guarantee the glass. 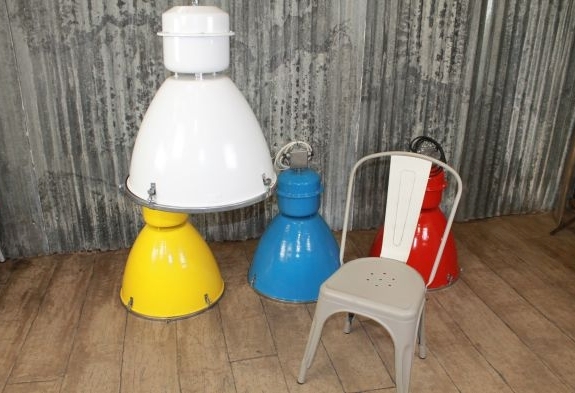 Please note this listing is for one vintage retro light only. 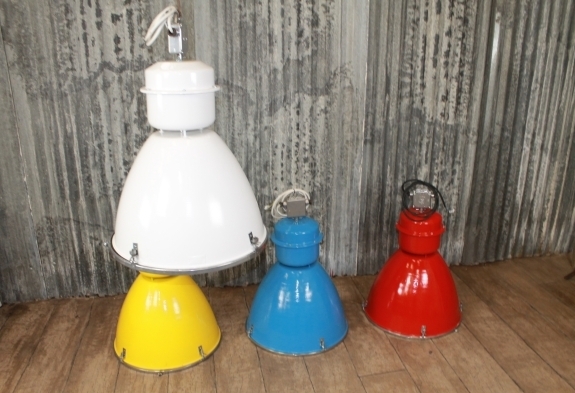 We do have more colours available. 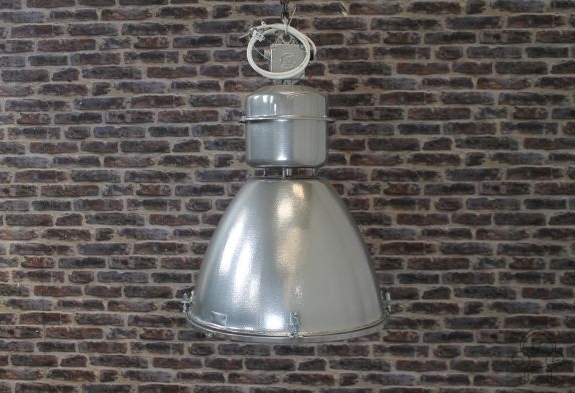 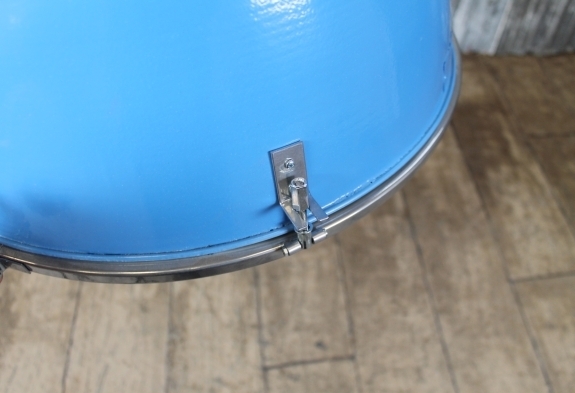 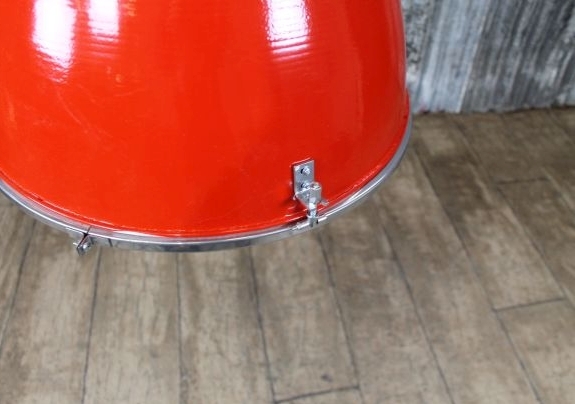 This vintage retro light is a new addition to our range of vintage and industrial lighting. 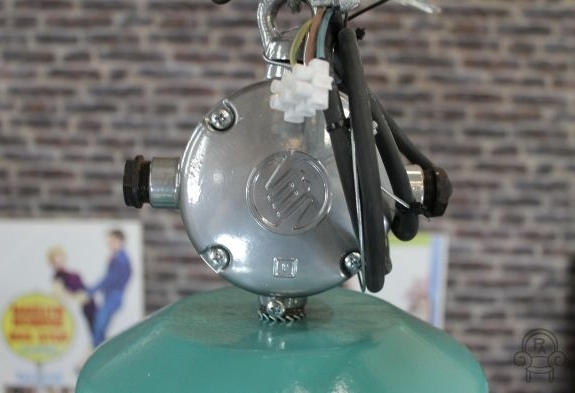 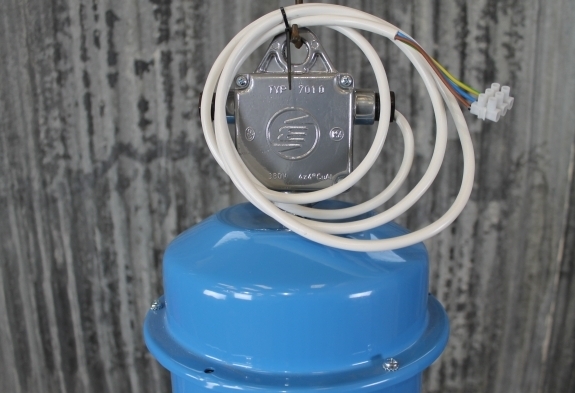 These large lights are totally reconditioned, and come in a selection of colours: yellow, blue, orange, mint green / turquoise, red, silver, black and white. 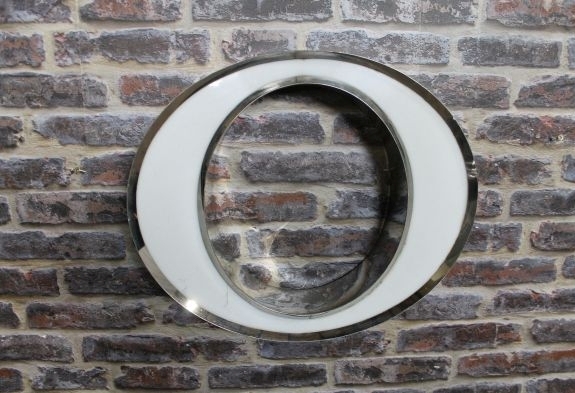 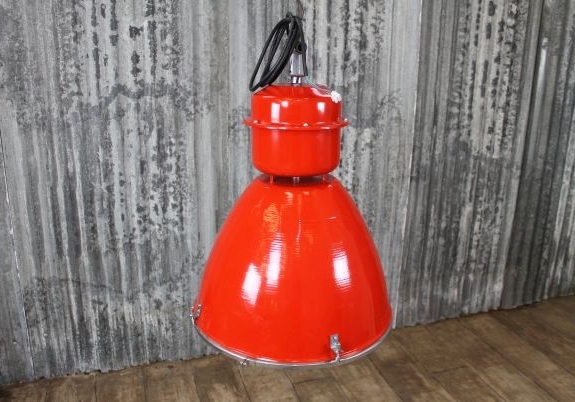 This vintage retro light would suit any commercial property or domestic home. 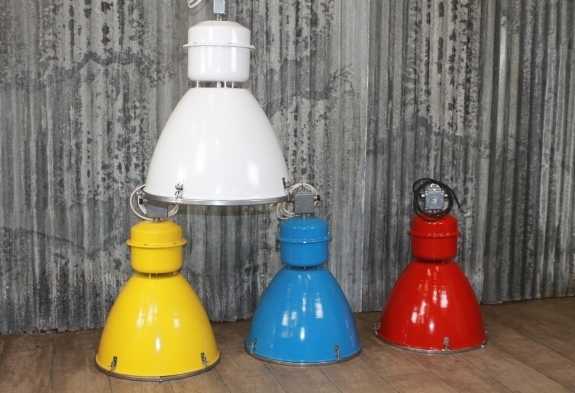 All of these lights are in great condition and have been totally rewired and repainted. 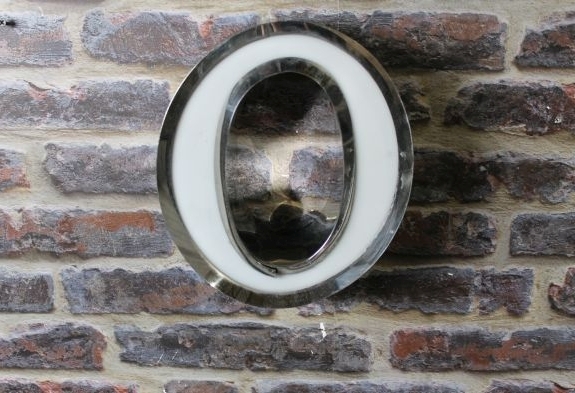 We can post this light, but we will not guarantee the glass. 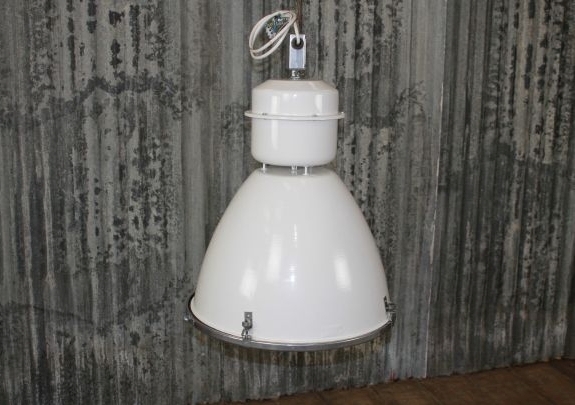 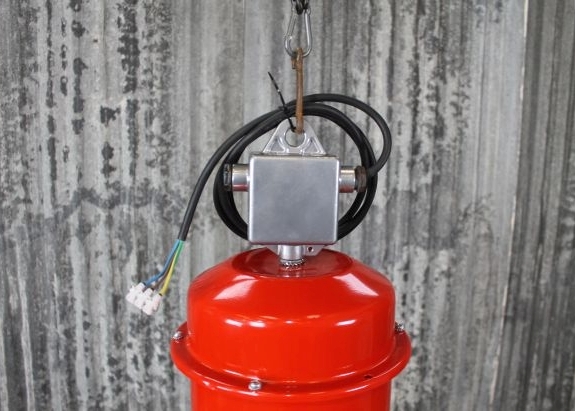 Please note: this listing is for one of our industrial vintage lights only, but we do have more available to purchase. 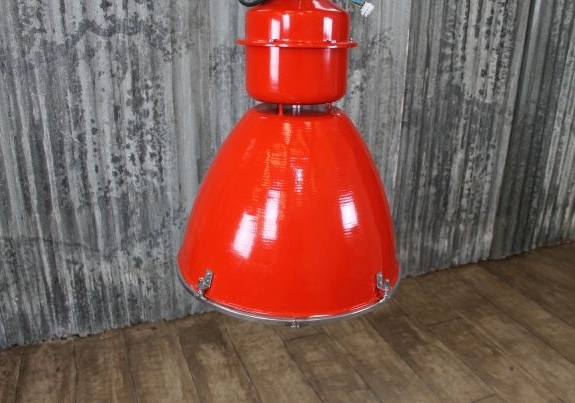 These industrial vintage lights are a great addition to our range of vintage and industrial lighting. 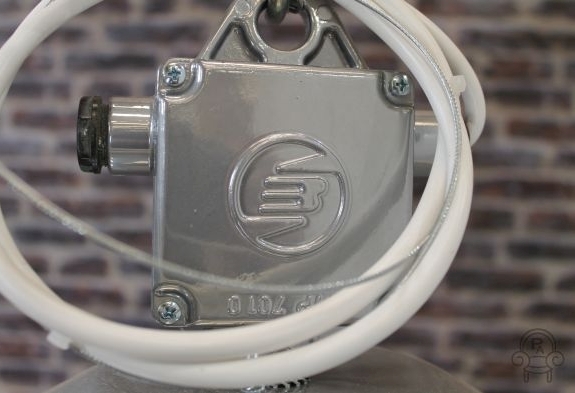 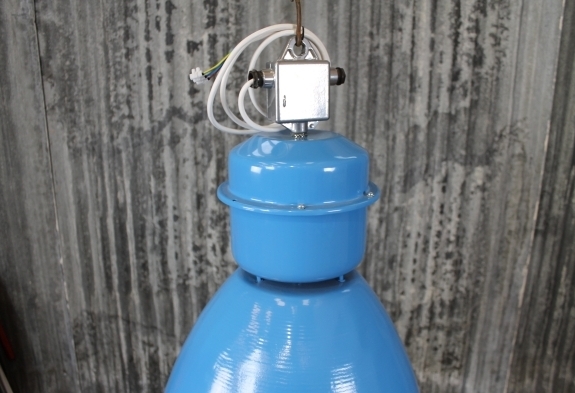 These large, totally reconditioned, industrial vintage lights are available in a selection of colours: yellow, red, blue, white, silver, black, orange and turquoise/mint. 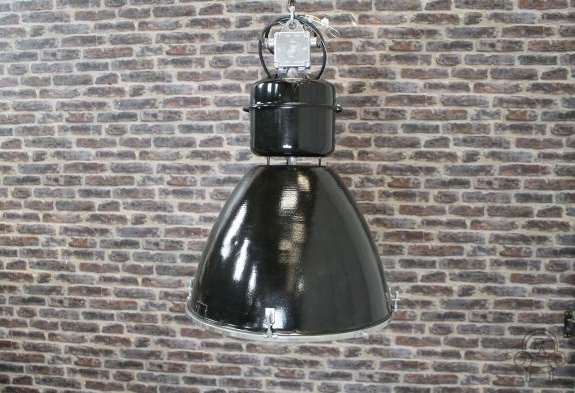 They make a real statement in any commercial or domestic property. 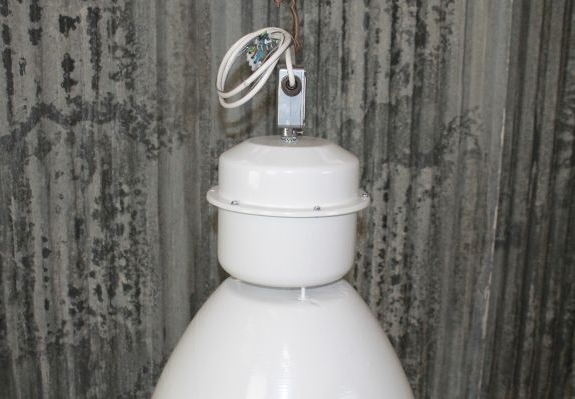 The lights have been completely repainted and rewired, and are all in an excellent condition. 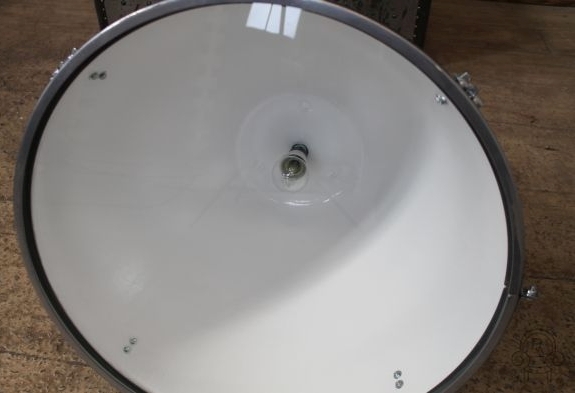 We can post this light, but we cannot guarantee the glass. 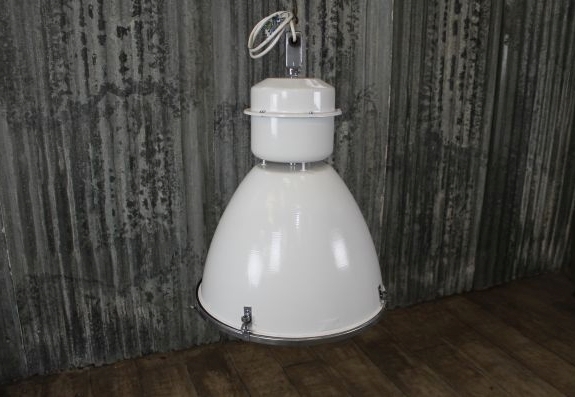 Please note, this listing is for one vintage industrial light only, but we do have more in stock. 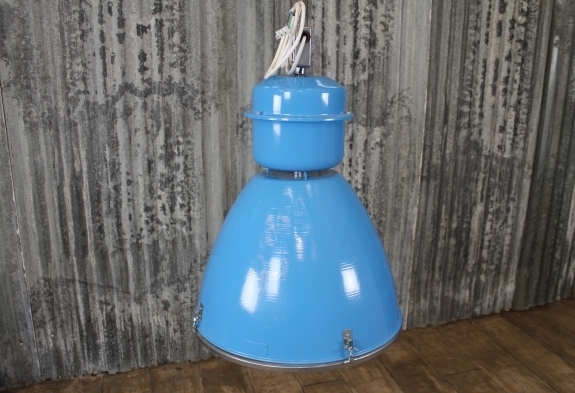 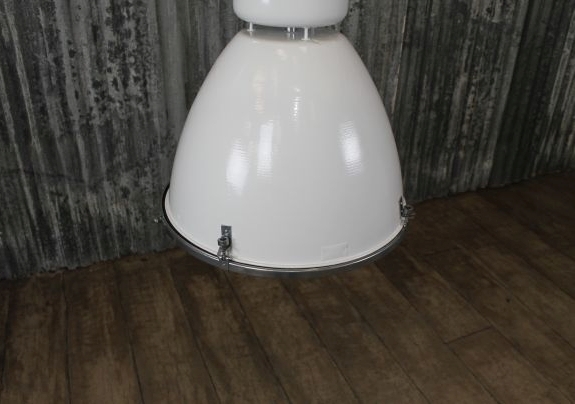 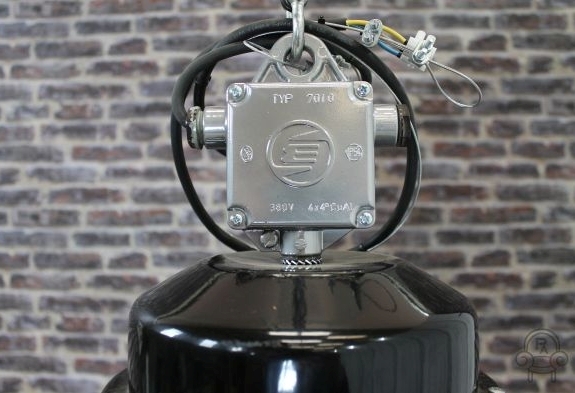 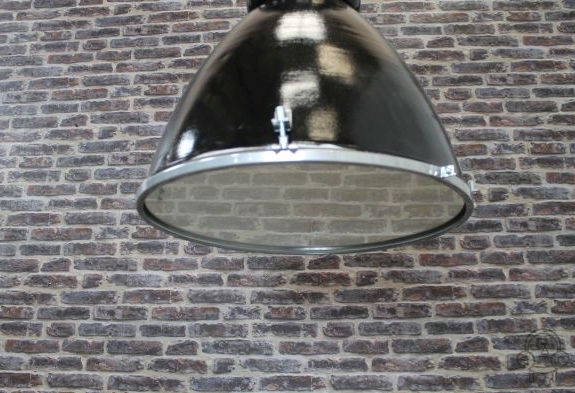 These lights are a fantastic addition to our industrial and vintage lighting. 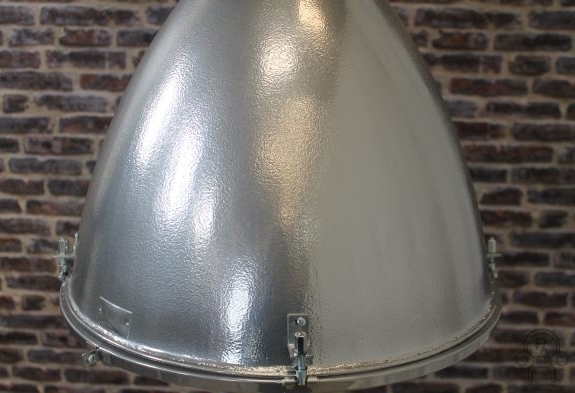 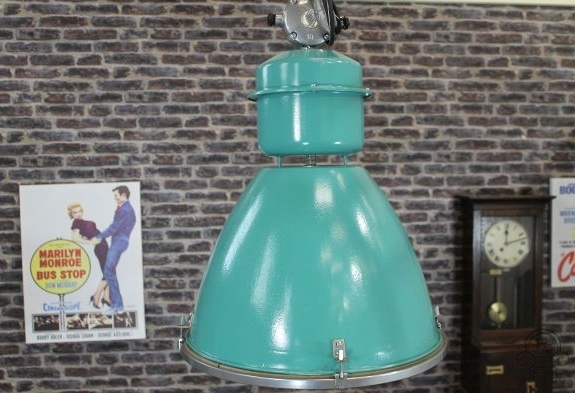 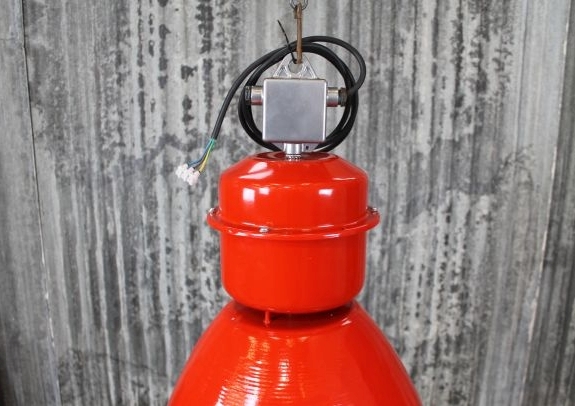 This large vintage industrial light is available in a range of different colours: orange, red, yellow, blue, turquoise/green, white and silver. 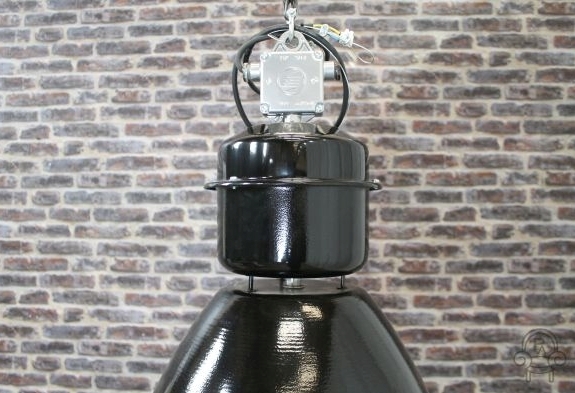 These lights would make a wonderful feature in any large home or commercial property. 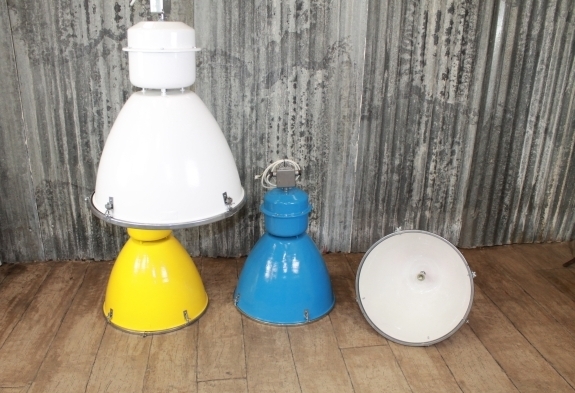 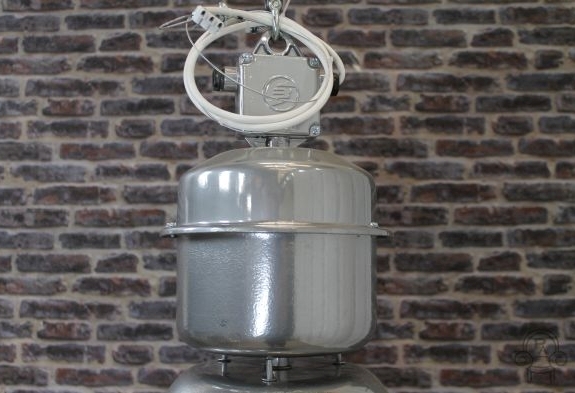 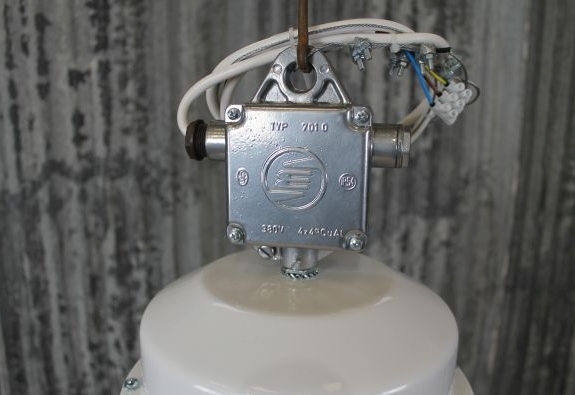 These vintage industrial lights are all in an excellent condition, having been completely rewired and repainted. 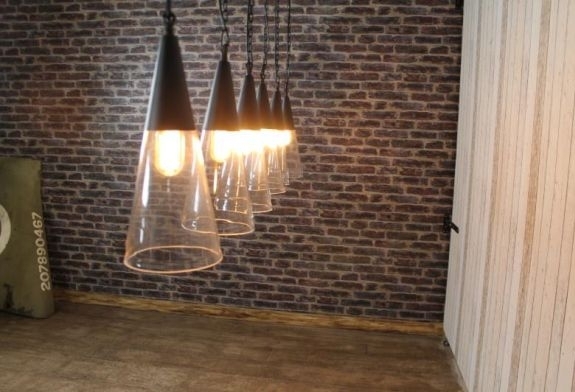 We can post the light, but we cannot guarantee the glass.